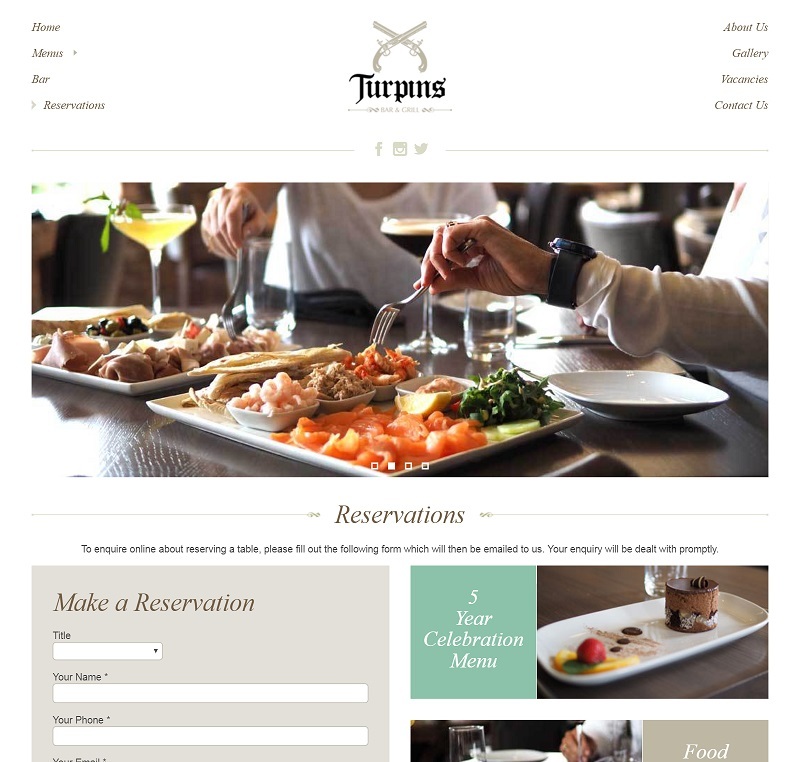 Spiderscope have designed and developed websites for Turpins Bar & Grill, San Giovanni and London Party Boats. This has given us extensive experience for both developing and bar and restaurant websites, so we know we can help. Booking systems, availability management, digital marketing and email marketing... we can help! So, what exactly are the benefits of a bar or restaurant having their very own website? Let's take a look at just a few. You'd probably be surprised how many people look up bars and restaurants online before they decide to visit. If you don't have a website, they're not going to find anything, it's as simple as that. A contact page on your website gives your customers quick and easy access to your location. You can even embed an interactive Google map on to it to make it even easier to find you! Allow people to reserve a table through your site using our online booking system. This can be fully automated, so no more time wasted by your staff answering phones. You can use your site to keep your customers update with news and events. If you opt for our email marketing system, you will also be able to send emails out to subscribers to keep them informed! Everyone knows that a social media presence is a valuable tool these days. A website can act as a hub for all your social media accounts, linking them all together and improving your overall brand identity. Take a look at the stuff you actually want to see, some of our previous designs for companies in the hospitality industry.